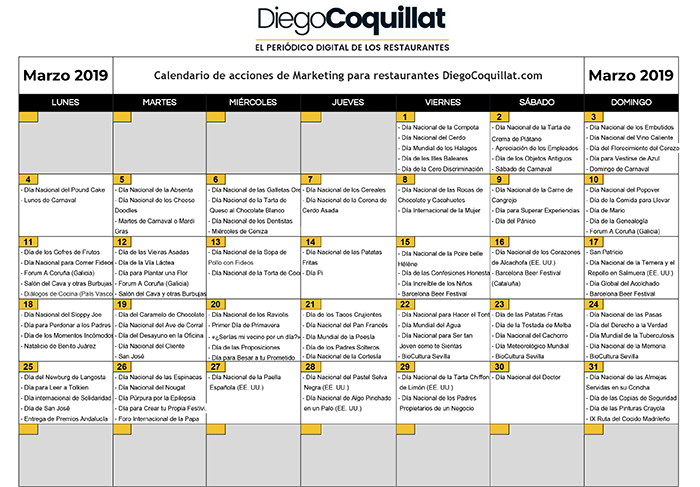 March presents multiple opportunities to run actions of marketing for restaurants high capacity to attract new customers: from parties somewhat frikis marking the prelude to what is to come in May to masquerades Victorian. 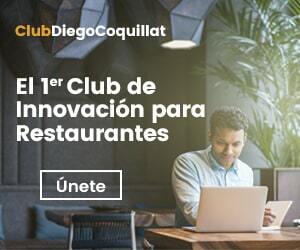 In this article we provide you some strategies marketing for restaurants that you can put in place to fill your rooms. He 25 May is celebrated Pride Day geek. It is the only event that has fans of video games, films of science fiction and fantasy novels. The May 4 is also celebrated Star Wars Day, each year has increased traction. But before all this, what? March brings with it a calendar marketing packed restaurants for special dates for science lovers, the technology, culture and fantasy. With claims directed to these cohorts of people we are not only increasing our turnover on the dates indicated, but we are positioning ourselves advantageously for other dates you indicated similar cutting. How to get it? On the day of the old objects (March the second) It could organize a small antiques fair. National Day of cherry blossoms (March third) It is reminiscent of the rosettes of pink petals or sakura Iconic of Japanese culture, so you can draw the attention of the japanófilos with decorations and themes related to the country of the rising sun. Japan also import the Nintendo and his character mascot: in Mario Day (10 of March) you can organize a tournament, speedrun or challenge related to the legendary franchise. But that is not all. National Day the Milky Way It is celebrated 12 of March, so lovers of astronomy and home telescopes will be looking for any excuse to enjoy dinner under the stars with additional entertainment. Also related to space, but with an accent less serious, we have the National Day of alien abductions (20 of March), whereby it could costumes stretch the season Carnival a little further. All these strange quotes puts them close the pi day (14 of March), day marked with a red circle on the calendar of mathematicians. Carnivals have great tradition in some regions such as Galicia and the Canary Islands. So good, in every place the party takes on a different tone. This plurality of ways to celebrate when very versatile for restaurants who want to enhance their flow of diners in the five days of the celebration. A) Yes, two through March 5th have room for all kinds of events, from costume contests to masquerades. To get the most performance strategies marketing Carnivals for restaurants focused on so you just have to know in detail the tastes of customers and visitors expect from our local. Clearly, if our restaurant is classic and offers a luxury experience, a dance of exciting and intriguing masks is more suitable than other functional solutions that could swimmingly in a casual restaurant. Success lies in the correct estimation of the interests of the guests during the holidays. St. Patrick He had no major impact on Spain and other countries of Ibero-America until recently it has become fashionable to celebrate in style, shamrocks and green caps included. But If something can not miss this party, that is alcohol. In the event that the bar pose a significant volume of sales of our establishment, August can be in San Patricio. A bonus to come together, a discount on the second glass or any other incentive to encourage drinking you will notice at the end of the day in the box. Other dates March share with ideal excuses for marketing in restaurants.